Town & Country are blowing us all away this month with an absolutely stunning cover for their premiere issue for the UK edition. 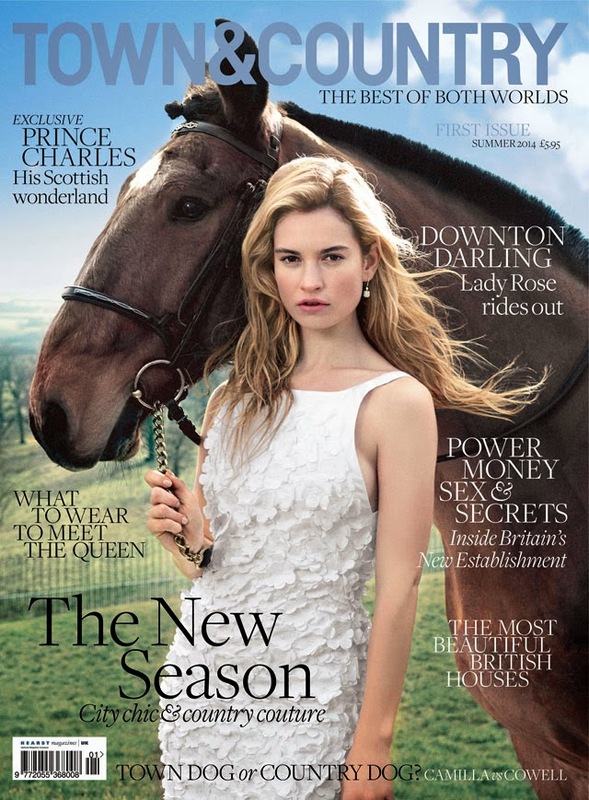 Downton Abbey's Lily James - aka Lady Rose, the character that is perhaps the most rebellious of the whole Abbey crew- is seen wearing a white gown from Ralph Lauren and shares the cover space with an equestrian companion. If this is a sign of things to come, we're thinking a subscription to the mag is an absolute must. Look for the issue to start appearing on newsstands from May 1st.